The final issue of this lovely poetry magazine has just been published; it’s a bumper double issue (46&47) with poems from Vona Groarke, Medbh McGuckian, Harry Clifton, Leontia Flynn and Paula Meehan amongst others. 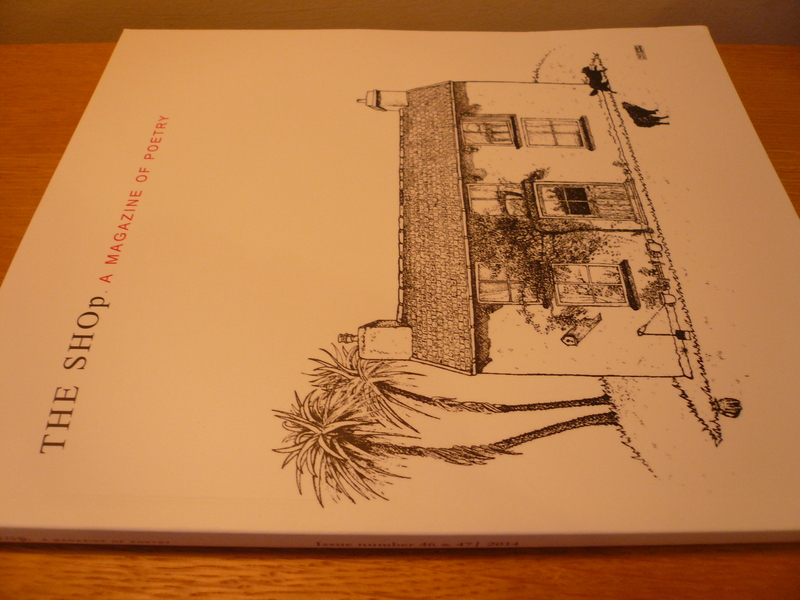 THE SHOp has been published by John and Hilary Wakeman in West Cork since 1999. Its title is inspired by a line from Yeats’s ‘The Circus Animals’ Desertion’ which states that true poetry is not a matter of making language do clever circus tricks, but that it grows from ‘the foul rag-and-bone shop of the heart’. I’m happy to have a poem (The Man on the Corner of Sproul Plaza Sold Black Holes) in the last issue.